This is the story of my reunion with my first car I had when I was 15 and was built in the year I was born. Some of this might be on the forum in other threads but I wanted to have a single thread to cover the story from the beginning. 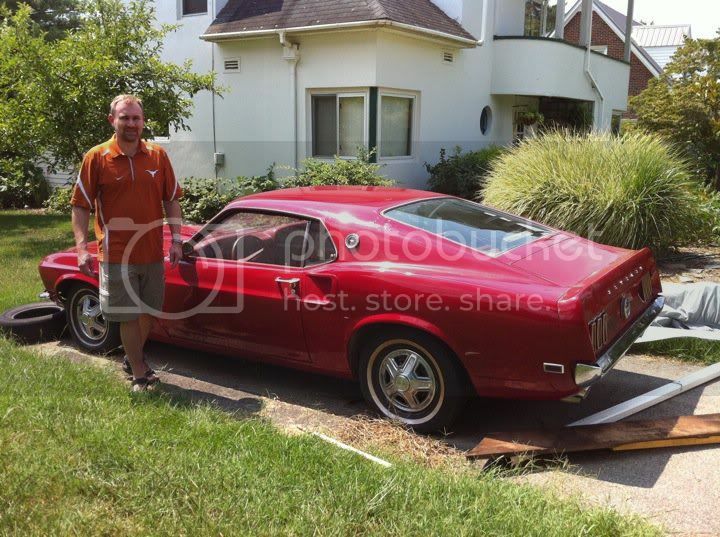 In the late 1970's the original owner, who was in his late 60's, lived across the street from me in San Antonio. I was in elementary school and I used to help him wash it on the weekends. My parents divorced before I got to 6th grade but my dad stayed in the old house and my brothers and I came to visit on the weekends. I still helped the guy with his car when he needed it and I think this involvement played a part in what was to happen later. My stepfather was in the Air Force and we moved overseas to Scotland before High School. I was planning to move back to Texas for sophomore year due to teacher strikes when my dad came to visit in Scotland. I was 15 and would be 16 when school started so we talked about taking driver's ed and he asked what kind of car I would like to drive when I got back. I said, "One like the Mustang our neighbor has." When I got back I found out my dad had already bought it. The car was my dad's and I just got to drive it but I did all the work on it because my dad did not have patience or very much mechanical ability. I drove it through most of high school except 11th grade when I went back to Scotland and during the summers in college. I did not want to take it to school. My dad sold it to my brother in 2005 and towed it out of Mississippi before Hurricane Katrina hit. I had just gotten married and was in the process of buying a new house at the time. It sat in my brother's driveway in Virginia with no protection except a car cover for 6 years. One day I was watching a show with my wife and pointed out that I had a 69 Mustang in high school, she said maybe you can get another one some day. I told her maybe I could get the same one, and she raised her eyebrow. I worked out the financial deal with my brother and got in on the truck to haul it back to Texas right around my birthday. 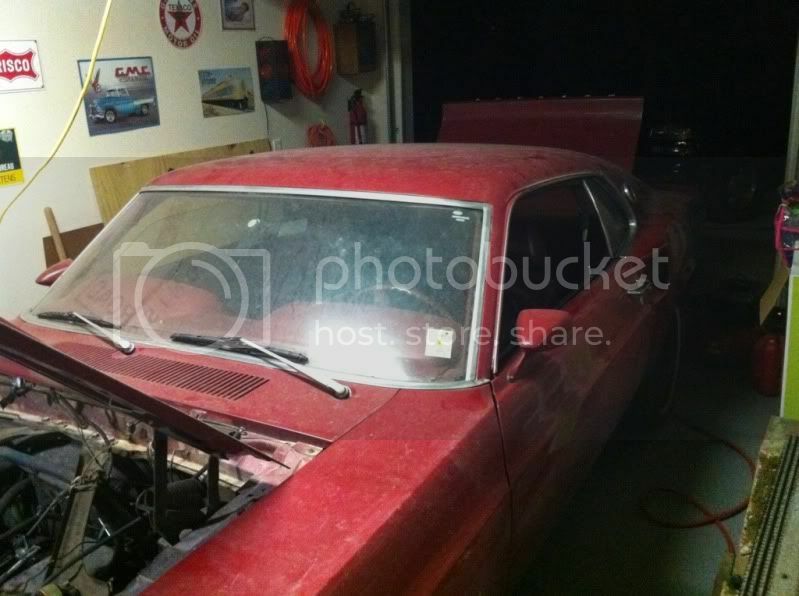 It is a 1969 Mustang Fastback that is almost original. It's 302 2bbl. The only mods are that it has dual exhaust on the original manifolds, the interior was replaced around 1985. It has a dealer installed Mark IV Custom AC system that goes under the dash and power steering as the main options. 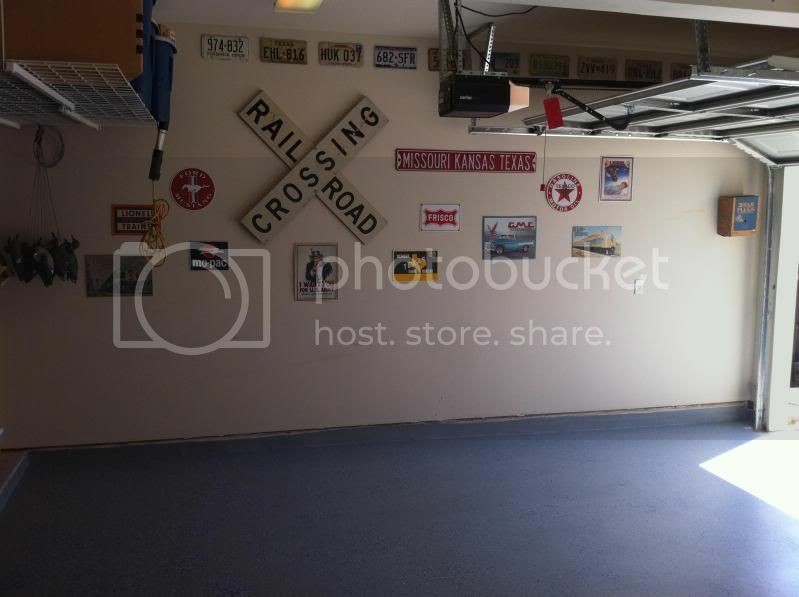 We had an extra space in our garage for the car but it was full of stuff from my dad's old house and all my hunting gear so I waited for a weekend in July when my wife was out of town and cleaned up everything and epoxy coated the garage floor. It was a lot of work but definitely worth it. I also had to sell my table saw and radial arm saw. I guess you could say I was nesting. 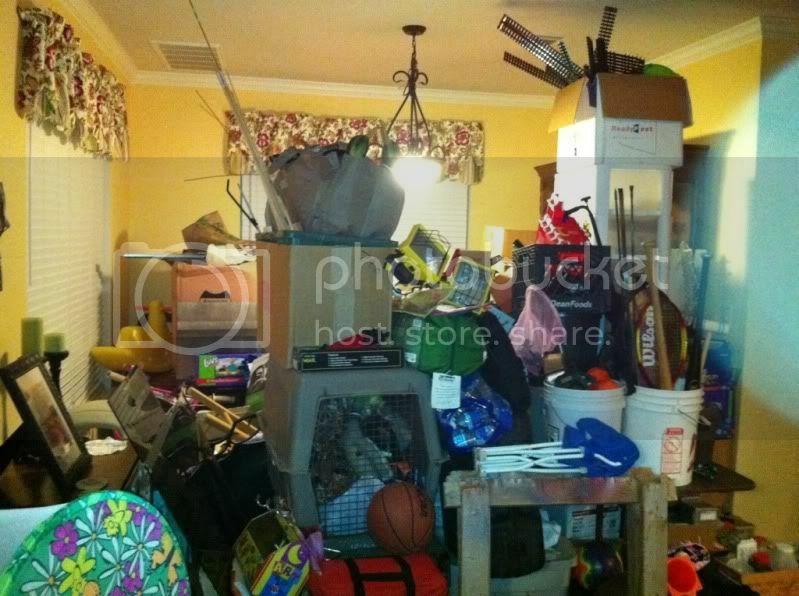 I wasn't in a terrible hurry to get the car to Texas and was a little price sensitive on shipping costs. I have an annual trip to Virginia in August to see my brothers and go hiking. On the trip I got to check out the car. It was in worse shape than I thought with some paint peeling off presumably from weather exposure. and it arrived at my house a only a week after my birthday. Other than getting some used tires to put on the 14 inch steel wheels it basically sat in the garage until the end of duck hunting season. VERY cool you have know about, and had the car in your family, for so long! Best of luck with it!!! 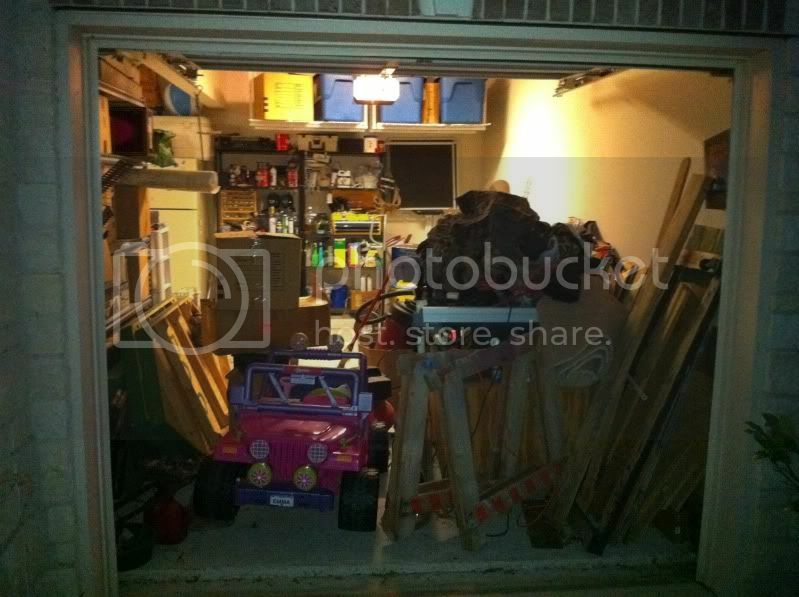 Great job on the garage cleanup too! awesome! cant wait to see you build it like you want! Very cool story. She's gotta feel a whole lot better sleeping in her new home now. 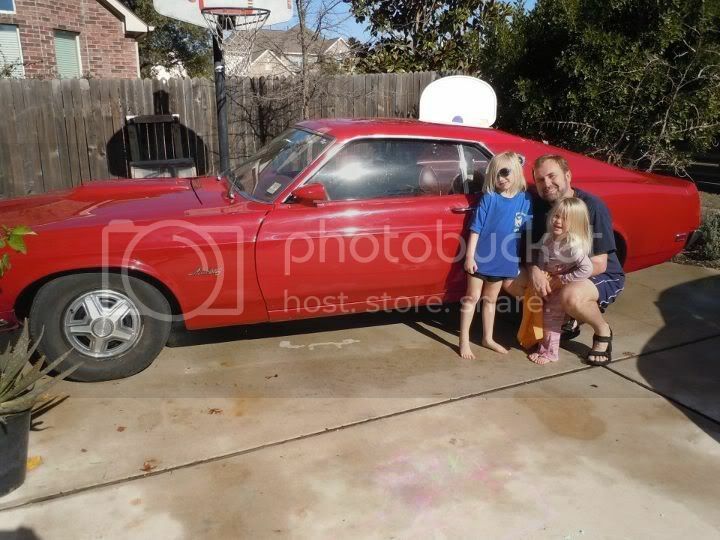 On a mild central Texas January day my preschool age daughters helped me clean up the old car to see what was under all that road grime and dust. My 5 year old picked up everything from the inside of the car and bagged it for me then she used the shop-vac to vacuum up all the old leaves, dirt and mouse dropping on the inside of the car. When her 2 and a half year old sister woke up from her nap they both helped wash the outside of the car. I had borrowed a battery charger because I had hoped to give them a ride back into the garage when we were done, but the battery was toast and the car wouldn't even start from a jump. After pushing the car into the garage with the girls inside I started making a list of priorities to work on. Sure I have a grand list of all the mods I want to do like a 408 stroker, AOD, disc brakes and more, but the goal is to get the car registered and inspected so we can take it to our local cruise in. The last registration information I found was from 2005 and the last inspection sticker was from 2002. I also need to rebuild the carburetor but I can probably pass inspection without doing that. It has a Holley 2300 on it right now but I found an Autolite with a C9 tag in a box that came with the car. I've since taken care of the battery and cables and have diagnosed most of the vacuum leak and the E-brake problem looks like it is just the return spring on the release handle. I'll probably remove the AC compressor and some of the other components since it does not work and maybe replace the water pump while I'm at it. The paint is fairly good except for the three large peeling spots. Two matching spots are just above and behind the medallions and the third is between the rear window and the trunk lid. It also has a re-pop fiberglass quarter panel extension on the right side that has a not to noticeable chunk missing so I recently bought an original cast part from a forum member. There is also a small amount of damage to the front spoiler sheet metal on the right side from driving it on/off the car hauler with a flat tire. Oh and my girls finally got their ride in the car a few nights ago. I ordered the e-books from the FordManuals.com site and have been educating myself with those and the posts on this forum. - Vacuum leak affecting C4 shifting: Found the hose that connects to the vacuum register was broken completely off and the upper hose is brittle; both will be replaced. - C4 leak - Transmission guy coming to help with this next week. Plan is to drop the valve body, inspect, replace filter, o-rings on shift linkage, dipstick/fill tube and the gasket on the pan. Also need to check the vacuum register. - Remove power steering components and lube steering box - nothing yet. - New wiper blades - ordered original style replacements since one of mine had a plastic tab replacement. I might have one original blade assembly to sell someone who needs the correct one. - fix E-brake - turned out to be a simple problem where the handle does not re-seat all the way back after pulling it. Ordered a new handle return spring. Changed the oil and filter last weekend and put a new gasket around the drain plug. I have not seen any oil leak yet. I found that the rubber connecting hoses for the gas line under the car are very brittle and need replacement. I'll blow out the lines and replace the hoses when I rebuild the carb (leaning towards keeping the Holley 2300) and replace the fuel filter. I don't have a drain plug in my tank, but removing that rubber hose under the car will work kind of like one. I just hope I don't have too much varnish that ends up clogging the line. Worst case this leads to getting a new stainless tank. Should I siphon most of the fuel out the filler neck before or let the force of the gas push through the line a little? I guess I'll remove the filler neck and look into the tank after it is drained. Great story and cool to see you getting your girls involved. I've got two daughters and have lots of great memories cleaning and working on my Mustangs and Jeep with them over the years. 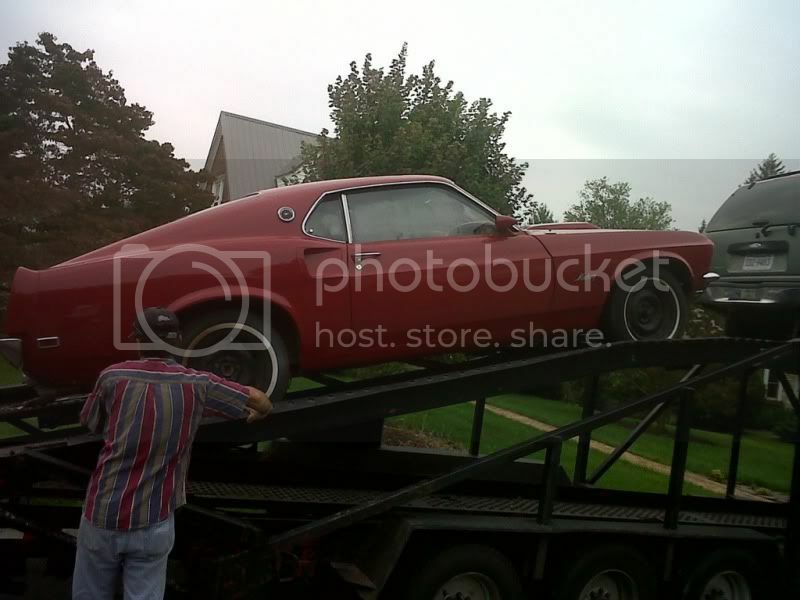 Awesome that you got your '69 back. My '67 was my first car, got it when I was 14, and I've managed to hang onto it all these years. Your two kids are roughly the same age as my youngest two. My daughter is 4 and a half and my son is 2 and a half. They sure love to help too! Keeping them out of the shed can be tricky and I have to watch where my tools wonder off to as they need to "fix" things. I have to keep my son out of the wood workshop as he goes straight for the table saw switch. But still, it may be tricky right now but it's going to be fantastic when they get a bit older and can do things for themselves and eager to lend a hand! It's great that your two girls will have the same fond memories of your 69, just how you did you when grew up of the same very car!! Had a guy come over that restored both a 69 and 70 fastback and he said my car was pretty much complete, without many missing parts. The front valance mounts are bent and the center one that connects to the radiator support (If that's what it's called) is severely bent and could probably be broken off easily. The gas tank does have a drain, I just didn't look hard enough. I've since fixed the trunk latch - it required removing everything, re-bending the aluminum piece that rotates and gently pushing the mounting frame back to square. I bought some 1/4" rubber fuel line to use as vacuum hose on the transmission vac line so it is much thicker in case it is hit running over something. I'll use the rest to replace my existing fuel line flexible joints. Transmission guy is coming tonight to fix the leaky C4. He said he might remove the "hockey puck" to make it shift a little more aggressively for me. Some people asked me what I want to do with this car. I want to make it look pretty much stock but with some performance upgrades like traction lok rear with higher gears, probably add a new intake, heads and carb in 12-18 months, upgrade the front brakes with CSRP discs, and rebuild the power steering. I'd like to take the AC off because it does not work, but I don't want to evacuate the system. Maybe I'll add an R134a system in the future. Though I did hear about a new product for old R12 systems that might work. I have a friend that has a '93 LT1 Camero that he is proud of. I'd like to smoke him just once in a car that is 24 years older, with 48 fewer cubic inches and without EFI. I had an independent transmission guy come over to my house and work on my C4 last night. He replaced the shift linkage and kick down lever o-rings inspected the springs and bands and removed the pressure regulator "hockey puck" from the valve body in less than an hour, fluid and disposal were not included but he gave me a great deal. I probably could have done it myself if I wasn't so intimidated by it and next time I will because he also teaches at the high school when they do transmissions and gave me a lesson. The highlight was seeing the C9 date code on the valve body and realizing this was the original transmission. This car gets better all the time with almost all of it original and what's not is being put back as much as I can. We did have a puzzle with the dipstick tube because the tab was not bolted and when we put it back in it didn't line up with any bolts. 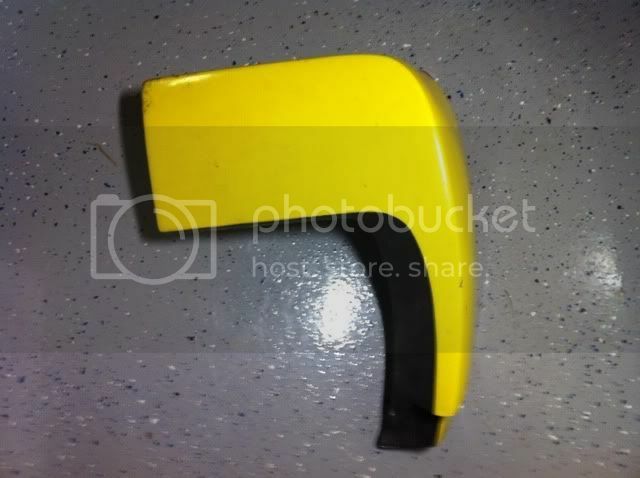 A fellow forum member posted a picture of his for me and it turns out someone straightened the tab and I just need to put the proper bend back in it to get it sorted. 2 leaks down and one (Pwr Steering) to go. I'm learning a lot and making progress faster than I thought. The car is is very good shape, just needed TLC maintenance issues done to get it going. Next up is power steering then I'll start thinking about suspension. I'll probably go with OpenTracker upgrades to the stock system. Well I've had a diversion and I'm now in the carb rebuilding business. Parts should be here soon. Speaking of parts my first couple of shipments have already come in. 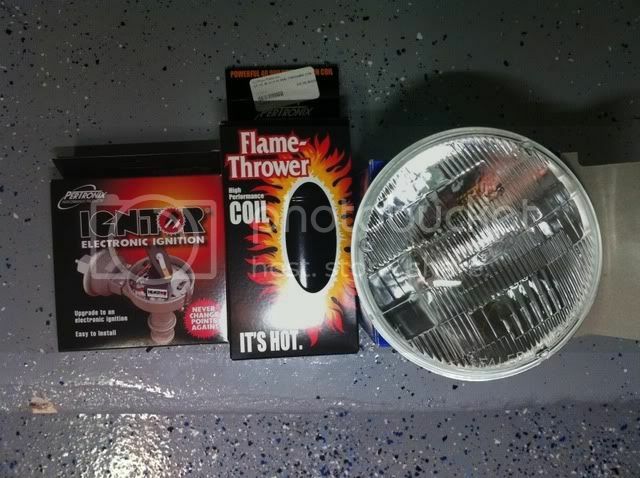 New headlight and Pertronix parts from CJPony. They were on sale. I think I'll paint the top of the coil yellow. I have a lot of others on the infamous CJPony back-order. Anyone recognize this fastener? It fell out of my rear valance. The round thing on the right is the "hockey puck" the transmission guy removed from my valve body I mentioned earlier. That looks to be one of the fasteners that holds on the rear valence. The big end of that fastener slips into a tab on the inner valance, the bolt slides thru the rear body where a nut tightens it. 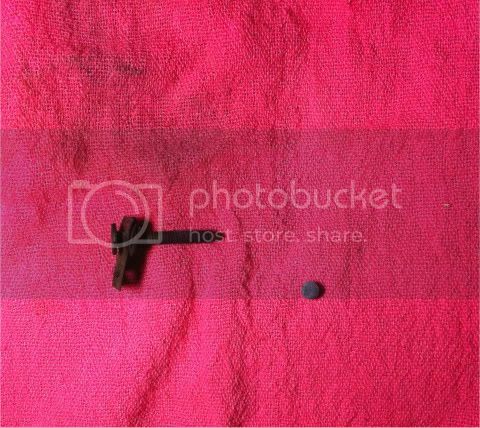 This would explain why my valance is loose on one side, thanks. I did a lot of work today. First I warmed up the car to do a compression test. After having some problems getting the tester to seat all the way and getting readings of 60 PSI on the first two cylinders I went back and tried again with more success. I thought it looked ok, but then I don't know too much so let me know what y'all think. Here are two of the spark plugs. They are Autolite and had the number 45 on them. I think they look ok for a car that was intentionally set to run rich. I'll fix that after rebuilding the carburetor. Is the rag joint supposed to have that bent part? I also found this loose wire behind the block. Anyone know what it is supposed to plug into? Is that what the vacuum tree is supposed to look like? I got the rebuild kit for the Holley 2300 in the mail last week along with a set of valve cover gaskets. Since I'm going to rebuild the carb, my fuel sender does not work, and the rubber lines connecting the steel gas lines are brittle I decided to drain the gas tank and start over with new gas. I thought it only had about 5 gallons in it but it kept going and going. I ended up with 15 gallons of old gas out of the car. My brother must have filled it up before he put it on the truck to me. While the gas was draining I decided to remove the gas cap and fill neck so I could look into the tank. I started getting worried when I saw the rubber connector between the neck and the tank was hard at the top and tore. The bottom was bulged out and soft enough to put your finger through. When I looked into the tank it looked like barnacles were growing in it like a pier at low tide. So now I'll be getting a new gas tank. Your rag joint appears to be ok. Not sure what that wire is for, possibley shifter light. Your vaccum tree is different to both my mach1 and coupe. Do you have a vaccum line going to the automatic modulator? Ed, just read your story and very much enjoyed it. 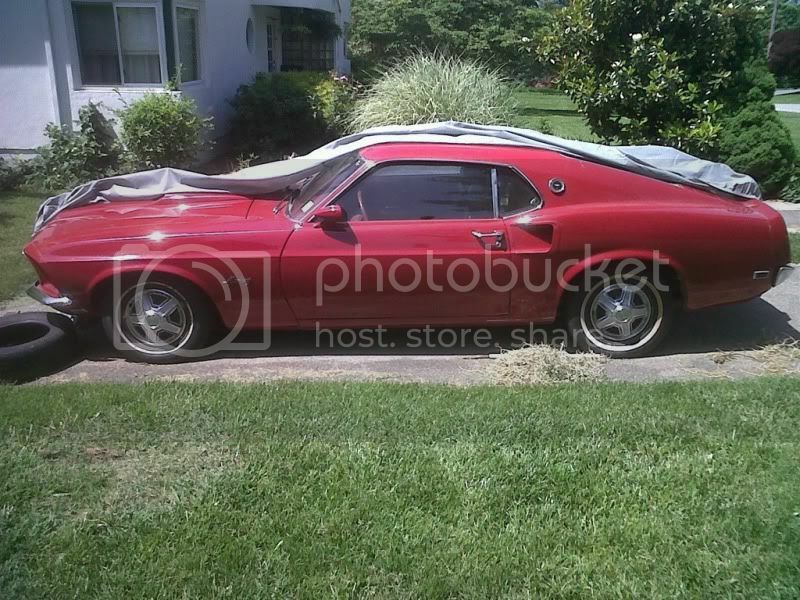 I have one that is very similar and in the same area as yours, as I grew up in San Antonio and acquired my first car, a 69 Mustang Mach 1 there. I still own that car and am about to begin restoration on it. I'm curious, what side of S.A. did you live on? I'm a bit older than you, acquired my car in 1975, also at 15. I grew up on the Northeast side of town, went to Judson H.S. and worked at Albertson's Food and Drug on Walzem road for many years. 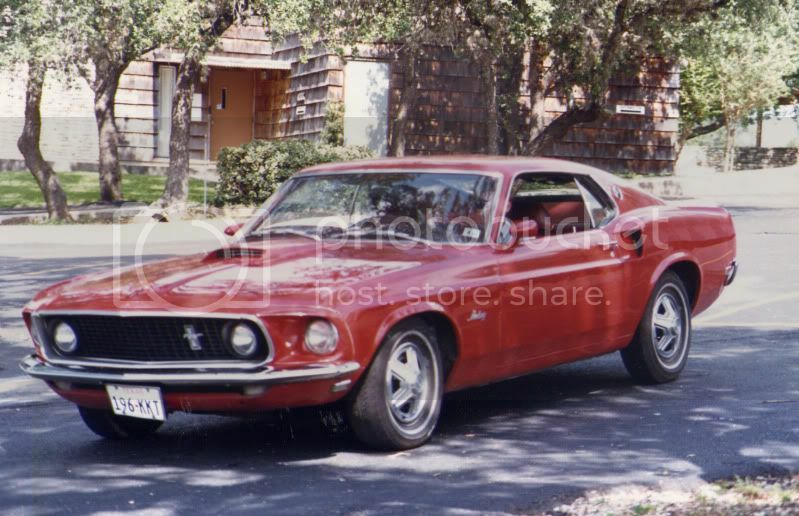 If you were big into Mustangs, and spent any time on that side of town, specifically Walzem Road, in the mid 70's to mid 80's, I would think you would have noted my car......Gulfstream Aqua 69 Mach 1, white interior, slats, spoilers, etc. I spent a lot of time in Universal City and used to cruise the main drag there on Friday and Saturday night. You would be very familiar with that area if your step dad was stationed at Randolf. I lived near Wurzbach & Lockhill-Selma where we got the car and near Grissom and Braun when my parents divorced. I was out of state from 1984 to 96 except for the 85-86 school year.